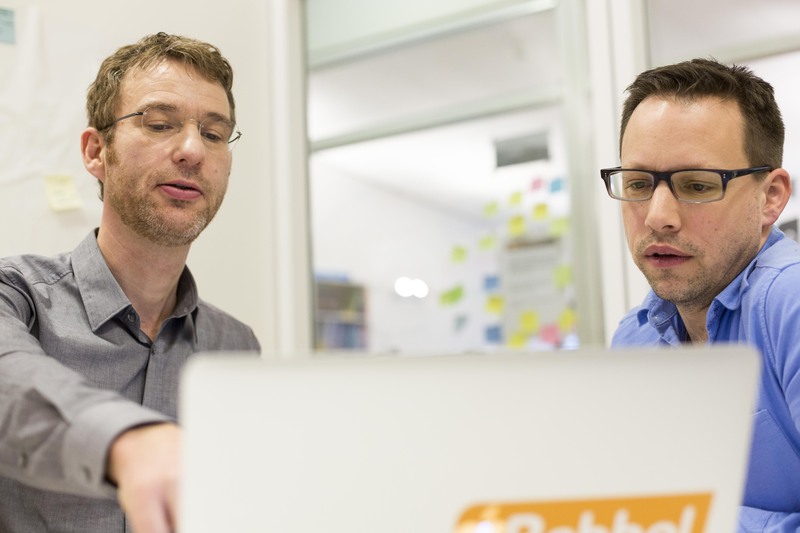 The Berlin- and New York-based language learning service Babbel today announced that it has raised a $22 million funding round led by Scottish Equity Partners. Other participants in this round include previous investors Reed Elsevier Ventures, Nokia Growth Partners, and VC Fonds Technology Berlin. The company, which was founded in 2007, says it plans to use this new round to drive further growth, especially in the U.S., where the company recently opened its first international office. “The U.S. is the focus for us now,” Babbel president and co-founder Thomas Holl, who recently moved to New York to head up the company’s office there, told us. “The U.S. is already responsible for a double-digit number of our revenues, but we weren’t focused on that [market] yet.” Holl believes that the U.S. market is somewhat different from the company’s European home markets in that people are more focused on learning a new language for self-improvement and to achieve personal goals. In Europe, the emphasis is often more on learning a new language for job purposes. Babbel, which now offers courses for learning seven 15 languages, says it has been profitable since 2011 and that its mobile app now sees up to 120,000 downloads per day. The average customers uses the service for more than 12 month, which is quite the engagement rate when compared to other mobile apps. Unlike free competitors like Duolingo, Babbel charges its users a monthly fee. Prices start at $12.95 for a monthly subscription and drop to $6.95 if you pre-pay for a year. The company actually tried to go with a freemium model early on, but it was a poor fit for what Babbel was trying to accomplish.